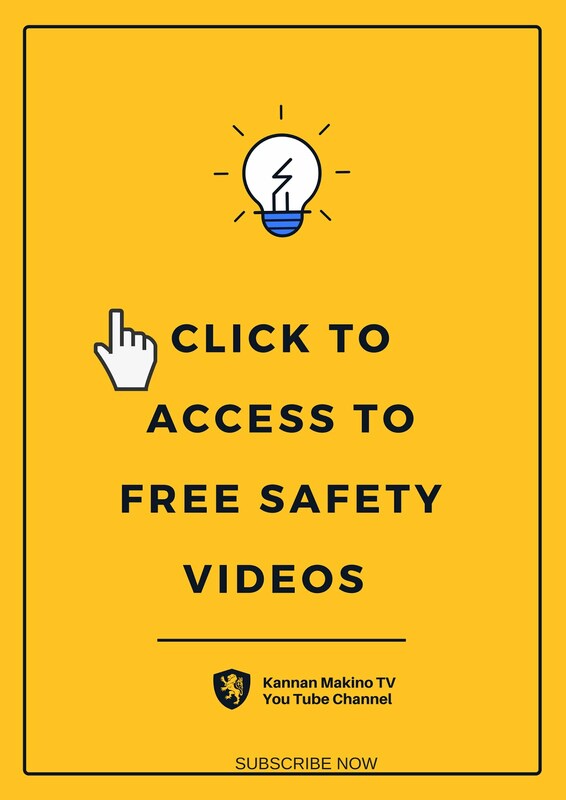 This Guide is especially for the employers, aspiring safety practitioners. Surviving in the business, Isn't easy, to survive in business or job you must update your self before you run out of business. 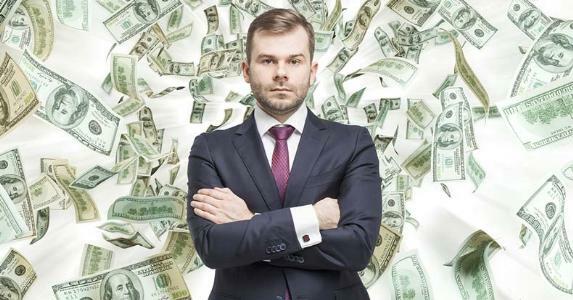 Though you are earning a good amount through business, It's important to control the unnecessary business loss to improve your Profit margin. How ? ? ? ? Here I have listed you 10 common misconception among the employer, employees and safety practitioner, which may spoil the complete organisation safety culture. If you have any of the one mentioned below, change it asap, YOU ARE KILLING YOUR EMPLOYEES! Of course, i agree the worker's unsafe activities and violations may result in accidents, but before that, we should remember, the legal requirements places duty over every employer to control the human error and violations through careful design of work environment. 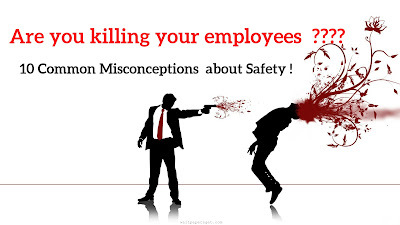 So the conclusion is that the worker will never cause an accident, but the primary failures such as employing unskilled labourers, lack of training, lack of enforcement of safety rules, poorly maintained / unsafe equipment's, failure of health and safety Management systems are causing the accidents. Remember the accidents and fatalities are common to everyone, no one is an exception here. The study & most of the research says as the experience increases the carelessness and overconfidence also increases. So It's always better to remember the accidents can happen at any time and for many reasons. 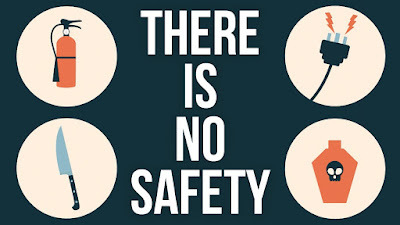 The common misconception that exists among every common individual is, thinking like the meaning of safety = PPE. Of course, the Personal protective equipment's are having an important role in safety but they are the only part of safety. 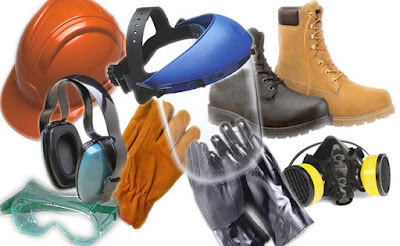 More than that, most technical controls are remains such as SIL, HAZOP, Hierarchy of risk controls, which we need to consider before choosing PPE. We accept, the common sense having their own role in the prevention of accidents but more than that, the common knowledge alone will not help to prevent the accidents. 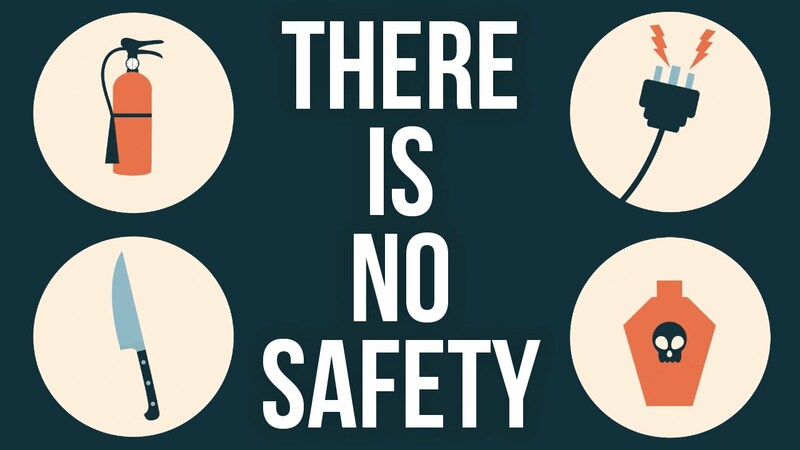 That's why the industries are investing a huge amount in job-specific training unless you don't know how to perform a job, you can't-do it safely. Do the zero accidents are possible? If yes - you are right. If No - You are right. It;s mostly based on your mentality. 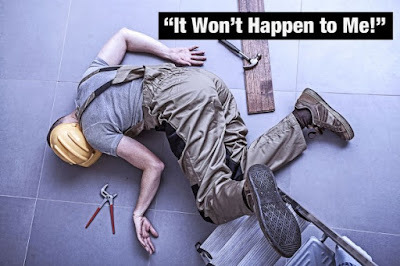 Almost all the accidents can be prevented by the careful design of workplace, work equipment's, the use of suitably trained and competent workers and rigorous health and safety policies. If you are an employer or part of the management team with this mentality, you should change asap. The histories say, there is a number of cases, where the company runs out of business in a single accident. It's useless if you are not controlling the unnecessary business loss like repair costs, insurance claims, criminal fines etc. That's the main reason, why the corporate and best industries are investing a lot in health and safety. No one is an exception here, every company are under the legal requirements, to maintain and control their risks to an acceptable level. Most of the Catastrophic accidents are occurred by the combination of minor failures. Fire accidents are common to every industry, So beware of business losses before it occurs.
" The HSE estimates that the ratio between insured and uninsured costs lies in the range of £1:£8 to £1:£36. " Accidents cause a business lost a lot, through indirect business losses, you should be familiar with the different types of uninsured costs that may result such as Hiring of a new employee, provision of training, investigation time, sick pay, overtime costs etc. If the accidents won't happen, it's really great, that's the one, we everyone work's for. But don't be lethargic the accidents are happening by a minor chance. Also, the accidents alone will never indicate your H & S performance. If you want to measure your health and safety performance, measure with complete Outputs. If you are an employer or safety practitioner trying to regulate the health and safety by the punishment of wrongdoers, probably the It won't work. Of course, the Punishments will make your workers be fear of, but that's not a one which we are expecting. when they knew the importance of health and safety. But the punishments will never do it. 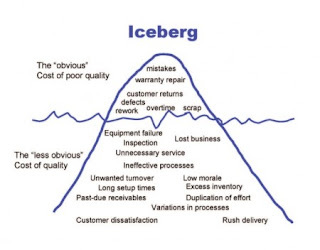 Insecurity will be the peak problem, which most of the employees experienced with. Unless the companies maintain High standards of health and Safety , they cannot reach their full potentials of business. If the employees are not satisfied , the productivity and production quality will be down also it may indirectly affect the product image. When it comes to poor standards of health and safety performance , employees won't work with loyalty , only they work for a bread & butter. No body will work for a long time, mean the staff turn over will be high. That's a very eye opening articles for safety officers and employees in any work environment to take on board. Thanks. Thanks for your appreciable comments ...Mr.KB Gideoni.